NC Family’s 2018 Annual Major Speakers Dinner in Winston-Salem, NC on Thursday, November 8, 2018 featured Dr. Bruce Ashford, Provost and Professor of Theology & Culture at Southeastern Baptist Theological Seminary. 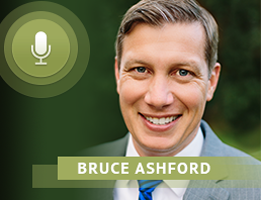 Bruce Ashford, Provost and Professor of Theology & Culture at Southeastern Baptist Theological Seminary. Dr. Ashford has been teaching at Southeastern since 2003 with the goal of encouraging his students to bear witness to the truth, goodness and beauty of the Gospel and to work out its implications in all facets of their lives and in all dimensions of culture. He is the author or co-author of six books, the most recent being, Letters to an American Christian, which addresses the relationship between Christianity and politics, speaks to the way historic Christian belief informs modern political issues, and challenges readers to take seriously both our heavenly and earthly citizenships.